I love big puffy clouds. This evening at sunset I noticed this out my window. I didn’t have time to set my camera up. So, I grabbed my mobile phone and snapped it. I did some post processing edits on it because there were a few unsightly things that were terrible distractions. I love the way the crevices in the mountain cast the deep rich shadows at sunrise and sunset. I also love the rich warm glow from the sun. Recently, I’ve been going through some transformation in myself. Just today I was reading over at Brooke Shaden’s Blog. She’s a fantastic photographer and story teller. I took a photography class offered by creativeLIVE that Brooke instructed. She creates amazing art. Her post from today [2/27/2014] put me on my toes. I was mentally and emotionally challenged by it. I struggle with being imaginative and creative. Everything I do is basic safety net stuff. It’s hard to break out of my mental black box. I was encouraged by a few people in the comments on Brooke’s post. For me, my mental black box is just that… black, dark and a dungeon. I feel mentally paralyzed. When a sliver of light creeps in I’ll reach for it. It’ll be my escape hatch with a rope that I can climb out of. When I reach the for the light it will bring light to the darkness. It’ll shine bright and show all the wonderful blessings and open my mind to have permission to come out and play. 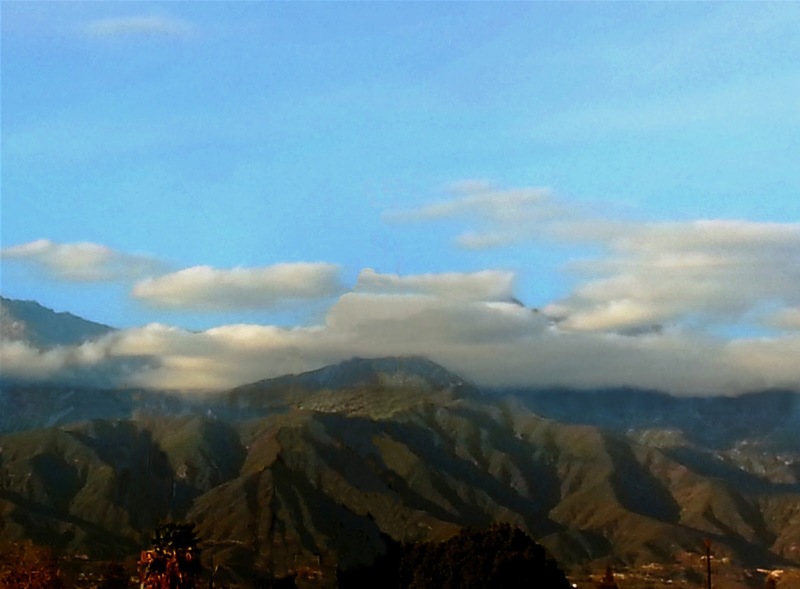 This entry was posted in clouds, image, links, mt baldy, Uncategorized. Bookmark the permalink.